The ULTIMATE leader and guide for OUR generation. The Mishna, compiled by Rabbi Judah the Prince, born in 135 CE, instructs every single one of us, even if it means coercing ourselves, to provide for ourselves a teacher, something Rabbi Schneerson (The Rebbe) many times urged us to consider. The Rebbe would say, the importance of having someone, a confidant outsider, that a person can turn to, to share with, their most personal and troubling thoughts and feelings, cannot be overstated. 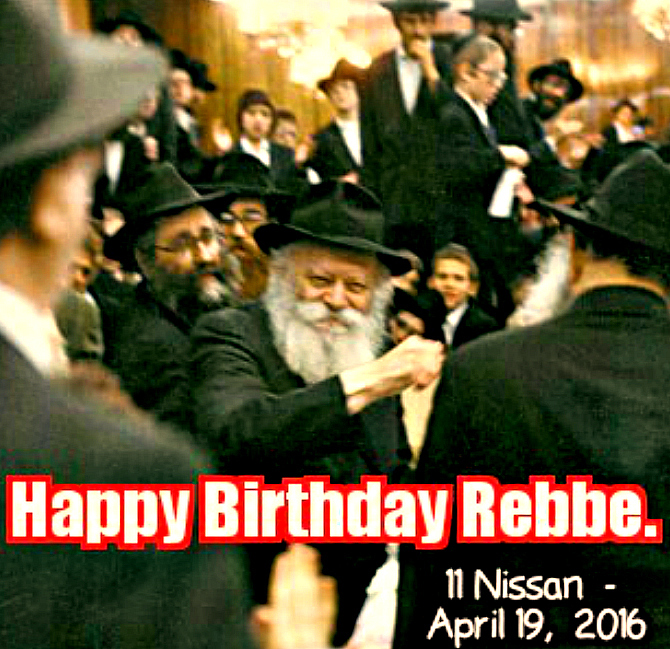 This coming Tuesday, April 19, 2016 is the birthday of Rabbi M.M. Schneerson, the Lubavitcher Rebbe, 1902- 1994. You may ask, ever since 1994 why and how, is the Birthday of this great scholar and saint, still relevant? The Holy book of Mysticism the Zohar teaches us, “who is the face of the master (G D)? This is the face of Rabbi Shimon Bar Yochai”, the leader and the Moses of the Jewish people, in his generation. In the story of Purim when the wicked and evil Haman decided to wipe out the Jews, he was happy to kill them on the month that Moses died. Haman figured, the death of Moses was a bad omen which would support his own evil intentions. Little did he realize, Moses was also born on that same month, and his birthday, even after his death, had the merit and strength to overcome any negative vibes that could have been created through the death of Moses. Once, the fifth Chabad Rabbi Sholom Dov Ber 1860-1920 taught, that in the world of truth, where the souls dwell, birthdays are celebrated and they affect the soul in very significant ways. A birthday is the day, G d says to the individual, “The entire universe cannot exist without YOU”. “The entire universe is dependent on your contribution and existence, to bring it to its purpose and goal.” On the day of a Birth Day, every year, the original purpose intended for this soul, is renewed with an enriched vigor. On this day, the souls are brighter and stronger. The birthday of a leader, a teacher and scholar, a true saint, “Angel of G d” is a very opportune time for those who already look up to this mentor for guidance, or those who would like to consider this soul and his teachings, as their guide and coach in life, to strengthen their connection with him, through studying and following his teachings. The book of the prophets says, Samson lead the Jewish people as their Judge for 40 years. However, in fact he was their judge for only 20! The Talmud explains, that because Samson’s instructions and influence were felt for 20 years after he left this world, all FORTY YEARS were considered to the credit of his leadership. We very much still have a leader in our time, who understood the challenges of our generation, and granted us clear and concise guidance for our times. Rabbi Abraham Hecht, the Rabbi of the largest Jewish Syrian Community in New York once brought a member of his congregation to meet with the Rebbe. Before actually seeing the Rebbe, Rabbi Hecht informed this gentleman of the Jewish Outreach being done by the Rebbe’s people in North Africa and the financial difficulties they were suffering. During his interview with the Rebbe, this gentleman very modestly and humbly asked the Rebbe, “I don’t understand. Why doesn’t the Rebbe send a letter to G-d and ask that He send the necessary funds? I am sure G d would respond to the Rebbe”. “The will of G d will certainly materialize. The free choice granted to man is whether to fulfill that destiny today or delay it until tomorrow. So, if we can accomplish things today, why delay it to tomorrow.” The Rebbe. A Deeper Understanding. 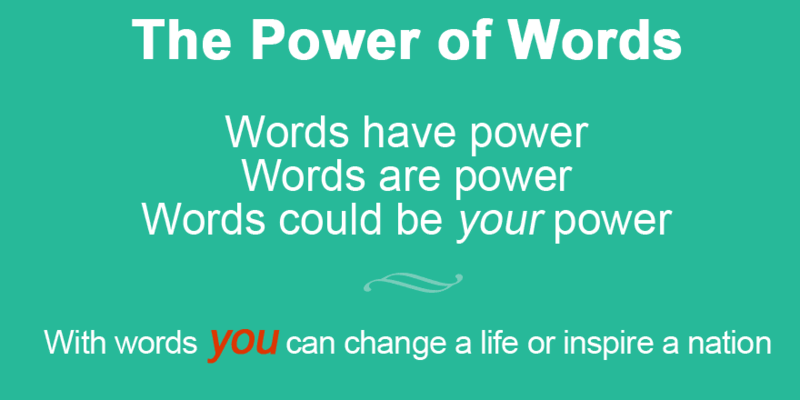 The creative POWER of WORDS. Jacob ben Wolf Kranz of Dubno, the Dubner Maggid, was a Lithuanian (Belarus)-born preacher (maggid). He was born at Zietil (now Dzyatlava), government of Wilna (now Belarus), about 1740 and died at Zamość on 18 December 1804. Jacob was an unrivaled preacher. Possessed of great eloquence, he illustrated both his sermons and his homiletic commentaries with parables taken from human life. By such parables he explained the most difficult passages, and cleared up many perplexing questions in rabbinical law. He was also an eminent rabbinical scholar, and on many occasions was consulted as an authority. Once, the Dubner Maggid warned a certain individual that his words should be carefully well-thought-out before speaking, because, it could cause some serious damage. The person tried to defend himself by saying, “I didn’t do anything, it’s only words….”. The Dubner Maggid responded. In the Torah, it tells us about a miraculous skin disorder that would come to people who spoke gossip. Their punishment would be that they would get expelled from the entire community. “Let him sit alone, (in a state on impurity) outside the camps he should dwell.” The Bible. This fellow was punished measure for measure. Because his gossip caused separation and strife between husbands and wives, between people and their friends, therefore his/her punishment was to be alone, until the condition cleared. Being alone is considered like death itself. Once he was cured, it was hoped his life was renewed, as if born again, healthier and improved, relative to his past behavior. Our sages tell us, “G-d made a covenant (treaty) with the lips.” The words that come out from our mouths would have a direct connection with the method of influence and control over actual reality. “Don’t open your mouth (and give fodder) to the bad Angel.” When a person says something negative about himself or speaks gossip on another, the Holy book of the Zohar says, these words may/are used against the person. For example, when a person says, “I don’t have any more strength”, or “I don’t have any money”, he creates through these words and combination of letters a reality where there is, and will be, a lack of strength and energy, and no money. 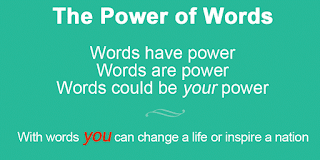 Analogous to G-d who created the world with the energy generated through the ten utterances and commands, the same is with human beings created in the form and image of G-d. Our words have a huge impact of creative strength. The same and even more so is in the positive direction. The Talmud recounts how Rabbi Akiva was extremely poor. When he got married to his wife Rachel, they couldn’t even afford beds and were forced to sleep on straw. In order to eat, Rachel was forced to sell her hair. Rabbi Akiva would tell his wife Rachel, “don’t worry, I will yet purchase for you “Jerusalem of Gold”. The commentaries explain, this was a certain ornament of Jewelry that only the very wealthy adorned themselves with. The Talmud goes on to say. “Not many years went by and Rachel was able to go up to her bed on ladders of gold! Rabbi Akiva purchased this “Jerusalem of Gold” ornament for his wife.” “Rabbi Akiva became wealthy through eight ways, and each one was miraculous without toil or effort.” The Talmud teaches, we can see from an actual story, the strength of positive words and what they led to in the case of Rabbi Akiva.